AMP Limited has announced a number of board changes to take place upon the completion of the AMP Life sale. AMP has announced that, on completion of the sale of AMP Life to Resolution Life, Trevor Matthews will retire from the AMP Limited Board. Mr Matthews has been chairman of AMP Life since May 2016 and will remain on the AMP Life Board as the AMP nominee. The board has also announced the appointment of Debra Hazelton as a non-executive director to the board, effective 15 June. 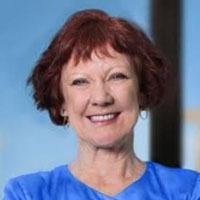 Ms Hazelton brings over 30 years’ experience in global financial services, most recently as chief executive of Mizuho Bank in Australia and CBA in Japan. Ms Hazelton will continue in her position as a non-executive director of AMP Capital Holdings Limited when she joins the AMP Limited board. Chairman of AMP David Murray welcomed Ms Hazelton to the position and said her skills would strengthen the board. “Debra’s leadership and experience within financial institutions as well as her previous appointments as a non-executive director will further strengthen the skill and expertise on the AMP board. “As a director of AMP Capital Holdings, Debra already understands our business and our work to reinvent AMP as a more streamlined, sustainable business with a high-quality client offering,” he said. Mr Murray also thanked Mr Matthews for his work at AMP and said he would be a great asset in his continued role at AMP Life.